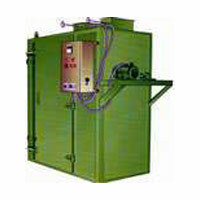 Our company also manufactures a range of dryers for different applications in the chemical industries. These vary according to the fuel it is used on and can be customized according to the use for the clients. Our expertise consists of tray type / drum type / tunnel type / flash type / spin flash type/ rotary drum type/ fluid bed – batch/continuous type of dryers.